MUST USE! PERFECT FOR! 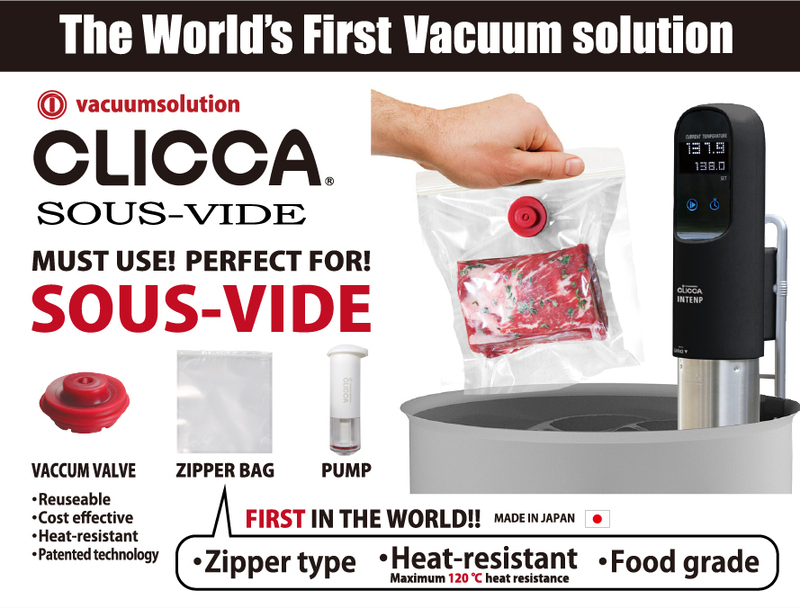 SOUS-VIDE | CLICCA | Daisaku Shoji Ltd.
Easy to use, durable and hygienic silicone/nylone material. Reuseable for hundreds of times, friendy to the earth. 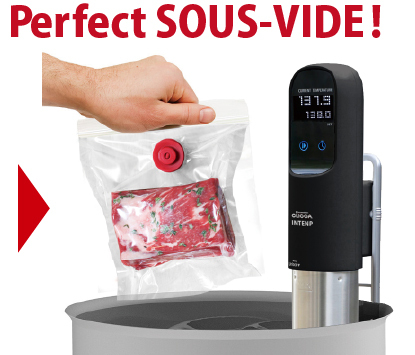 Heat-resistant (up to 230°F) and waterproof designed specially for sous-vide cooking. Guaranteed safety, produced in Japan under extremely hygienic environment. Advaned technology achieved high quality and affordable price at the same time, for home sous-videlovers. Simple yet performs up to 50% higher vacuum level than expensiveelectric machine. Pumping strokes reduced by half for quicker and easier operation. Transparent bottom provides indication on sucking liquid into pump. Easy to clean, dishwasher safe design.